For this past Mother’s Day, I treated my mom to lunch at Kagura. Kagura is a little Japanese restaurant in Torrance. From the outside it looks like a little hole in the wall restaurant and inside it is not the fanciest of places. This should not deter one from going here because based off my experience, this place just maybe on the top of Japanese restaurants in the South Bay. The meals here start off with a refreshing warm cup of hot tea. Tea is free refills. Along with the tea, starters include a chawanmushi. 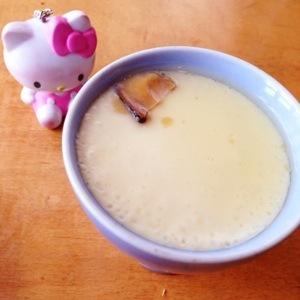 Chawanmushi means steamed in a tea cup. It is a custard pudding dish from Japan. 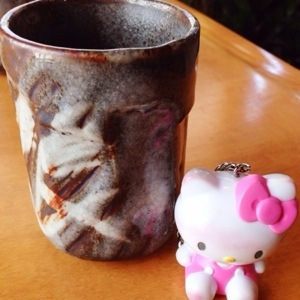 Here at Kagura, they serve it fresh and hot in a cute little cup. Their version is so soft and they have tender pieces of pork inside. 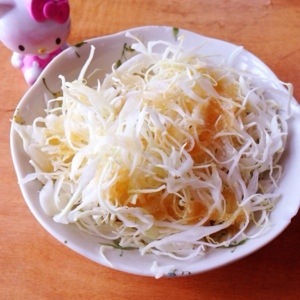 The gozen lunch sets here include a sliced cabbage salad. This salad is also unlimited. It’s a very nice starter. The cabbage along with the dressing was light and not too heavy. 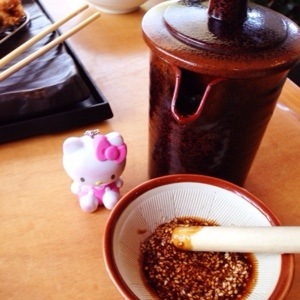 After the sliced cabbage and egg pudding, the waitress presented us with a cup of sesame seeds with a wooden stick and tonkatsu sauce in a small pitcher. This is in preparation for the main meal. 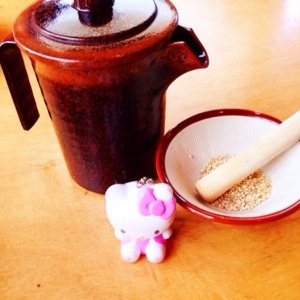 The wooden stick is to be used for grinding the sesame seeds. When you grind the seeds, it is supposed to release the aroma and flavor of the seeds. Then you mix in the tonkatsu sauce into the seeds. This part of the meal for me was a fun and interesting. For my main meal, I chose to get the Chicken Katsu Gozen. Both of our meals came with rice, pork miso soup, Japanese picked vegetables, 4 small plates consisting of pasta salad, radishes, tofu and seaweed. I chose to get the mixed grain rice and it was a neat rice combo of brown rice and white rice. It was a food match to the katsu. I was very fond of the pork miso soup. I loved the small tender pieces of pork and little veggies that could be found throughout the soup. The broth itself was warm and heartwarming. This soup was unlimited as well! 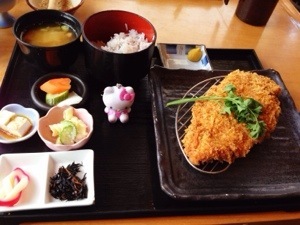 The main katsu was delicious! They were served hot and crispy. The outer katsu was fried to golden perfection. The chicken itself was lean and tender. 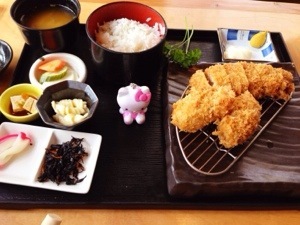 I tried my mom’s pork katsu and though it was good, I preferred the chicken. Both my mom and I really enjoyed the food here and I do know we will back. We are both very fond of Japanese cuisine and this place is a new favorite of ours! 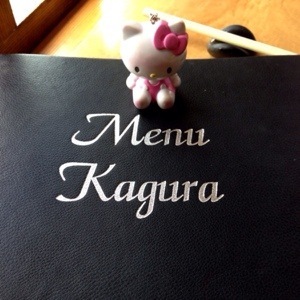 For more smiles, please see my recent Yelp review on Kagura.